Julia Goodwin is a singer and songwriter from Baldwinsville New York. She was the winner of Michael Feinstein’s 2013 Great American Songbook Vocal Competition, where she served as the Junior Ambassador for the Great American Songbook. She has performed nationally with world renowned performer Michael Feinstein. The New York Times applauded Julia calling her “phenomenally gifted”. Notable performances include: Carnegie Hall, Jazz at Lincoln Center, The Kennedy Center, Birdland, The Palladium, 54 Below and The Wynn. Julia was also a guest performer at the 2014 and 2017 Great American Songbook Hall of Fame Induction Galas honoring Johnny Mathis, Nat King Cole, Ella Fitzgerald, Linda Ronstadt, Shirley Jones and Mitzi Gaynor. Julia was a quarterfinalist on NBC’s “America’s Got Talent” performing at the Dolby Theater and Radio City Music Hall. She appeared on PBS performing at the Rainbow Room for “Michael Feinstein’s New Year’s Eve”. Julia has also been featured on ABC’s “Inside Edition” and “Extraordinary”. She has been invited to join an A-list of multiple award-winning singers from the worlds of Jazz, Broadway, Cabaret and Pop, which include: Freddy Cole, Christine Ebersole, Kristin Chenoweth, Dan Brubeck, Darren Criss, Elaine Paige, Marilyn Maye, Aaron Tveit, Jake Miller, Andy Grammer and Jessica Sanchez. Julia performed at the 2014 M&T Jazz Fest opening for Big Bad Voodoo Daddy and Trombone Shorty and again at the 2016 Jazz Fest opening for Michael McDonald. Julia has had the privilege of working with: Syracuse Pops-Symphoria, The Naples Philharmonic, The Pasadena Pops, The Louisville Orchestra and The Rochester Philharmonic Orchestra. Julia made her NFL debut in 2014 performing the National Anthem at Lukas Oil Stadium for the Indianapolis Colts and again at the Edward Jones Dome in St Louis for the St. Louis Rams. 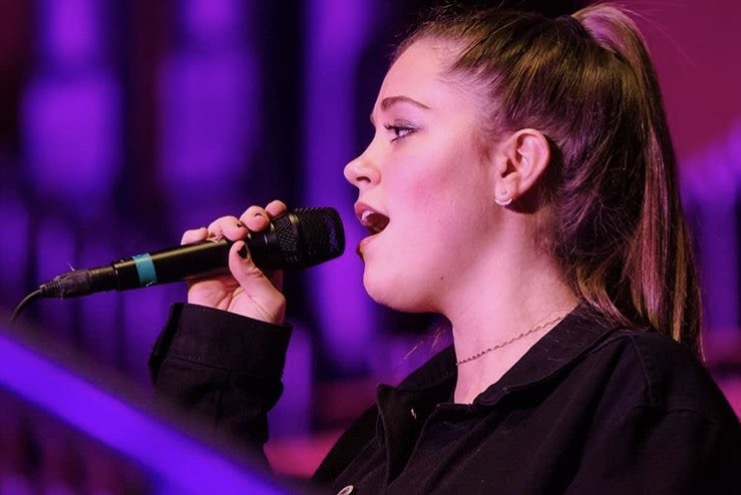 Julia was selected to perform at the New World Center in Miami, Florida, as a Finalist winner in the 2014 National YoungArts Competition for Vocal Pop. She was also recognized in the Vocal Jazz discipline. Julia is currently a junior attending Syracuse University, majoring in Music Industry with a concentration in Jazz Commercial studies. Her album titled “Feeling Good” features “unplugged” versions of some of her favorite Great American Songbook standards.